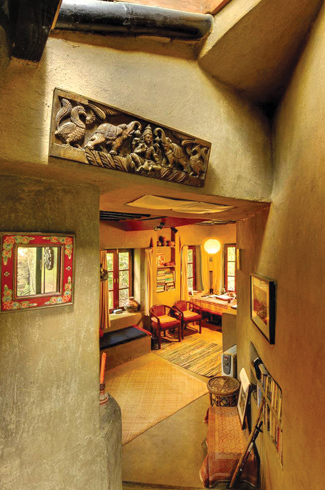 An inspirational octogenarian architect who structures mud to create unique and beautiful homes. She sits on her wooden workstation in the little alcove of her house facing the mountains, where she craftily devises ground-breaking house designs. It could be the aroma of the fresh lemongrass in the garden right outside her window, the subtle warmth brought in by the earth walls of her home or the playfulness of her dog and other animals in the vastness of nature right outside her house that fuel her brilliant mind resulting in her one-of-a-kind masterpieces. Once you are in the vicinity of the cluster of mud marvels that she has structured into quaint little homes, a sudden sense of homeliness engulfs you. 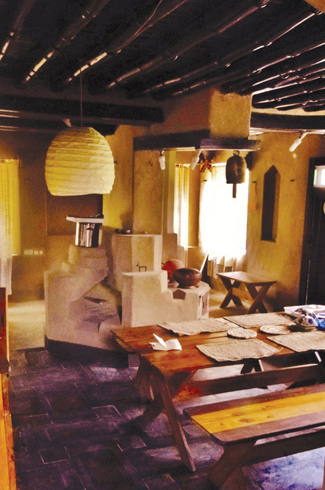 With a well-equipped kitchen filled with dainty pottery and a snug living space which gives away her love for reading, Didi Contractor’s abode is a reflection of her love for architecture through space making. 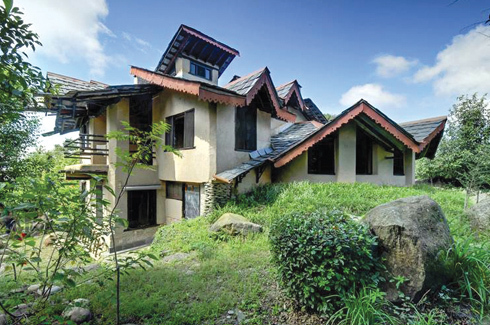 Her residence in Sidhbari, a small village near Dharamshala in Himachal Pradesh reflects her vernacular architectural style and ideals. Didi Contractor is an artist by profession but an architect at heart. Practicing the best form of sustainable architecture, she uses the earth and other naturally available materials on site to build mud houses. “I take the building from the site and then I become responsible for repairing it, “she says in an interview. Having great respect for the culture of any particular region and a love for nature, she feels that the most suitable materials are the ones taken from site, and the best form architectural style is the age-old regional practice or the traditional form of building. The structures built by her house elements like niches and platforms are all made using mud, furniture that blends with the warmth of the interiors and details that bring out the distinct characteristic of the materials used. “I learnt about the poetics of space through set design and how to create backdrops that evoke mood. In school, I would doodle houses to fit my dreams,” she says. With her parents being artists, she had an artistic inclination since childhood, and was inspired by the idea that architecture was something you design, something you could feel, interact with and flow through. 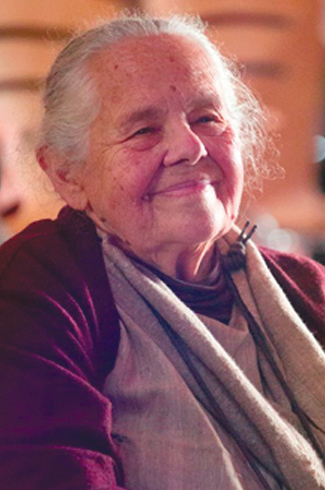 After shifting to India in 1951, she lived in remote places like the outskirts of Nasik, where she fell in love with the traditional Indian architecture, the shrines and their earthiness. Bombay was where she finally got the opportunity of working on her first house in Juhu and the interiors for the Lake palace which was converted to Udaipur’s first luxury hotel. 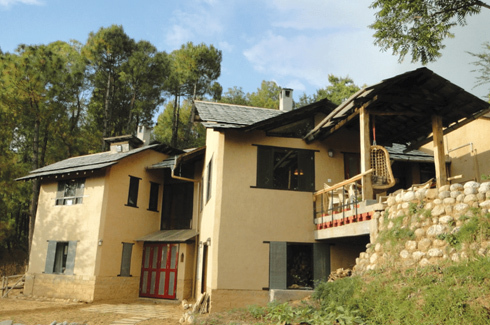 Inclined towards the culture of village life, she decided to settle in Andretta in Himachal Pradesh, an artist’s hub in the early 1970s, where she lived a rural life and learnt the local building traditions and techniques. 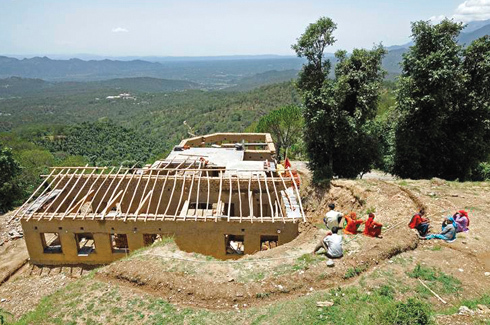 She now lives and works in Sidhbari, a village near Dharamshala, in a community of 7 houses all built by her. Her works can be easily distinguished from the others by not only the materials used for construction but the overall planning of the structure. A notable feature in most of her projects is the dynamic roof structure, usually made using slate tiles that are perched atop the pastel earth walls. The buildings thus become solar passive and thereby remain warm in the winters, cool in summers and are designed to resist earthquakes. Play of light being an important factor in her design, she uses it as a medium to add character to the spaces. 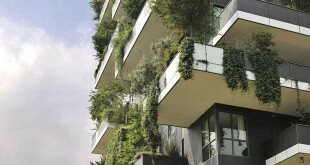 The building is usually surrounded by garden spaces with all sorts of plants and trees planted in a way that accentuates the structure. 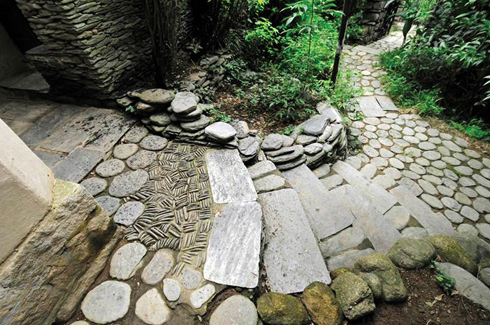 Pathways leading to the house or other spaces are designed with much detail using different types of stones, and are laid in different patterns and thus themselves become a distinct feature of the structure. With a spirit and enthusiasm that is not bound by age, she inculcates ecological values in young architects and inspires them to build sustainably with an attitude to create better living spaces. “I am not against money but valuing things by money is a terrible mistake. The most valuable things are those we cannot buy, like love and sunsets,” says Didi and tries to build a better relationship with nature through her works.